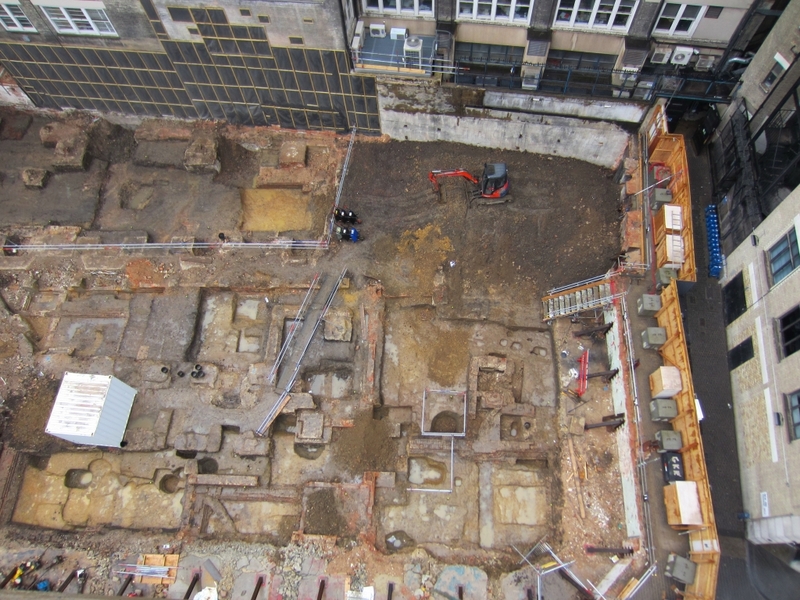 LSE Archivist Sue Donnelly writes about this Spring’s archaeological dig on Houghton Street at LSE. London’s many building sites are the source of frequent disruption and irritation but they also provide opportunities to find out more about the history hidden beneath the buildings and streets. 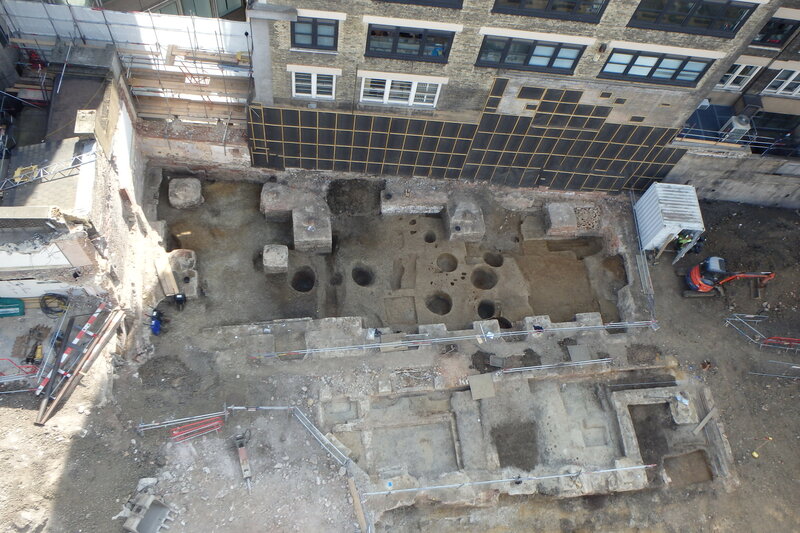 The preparatory works for the Centre Buildings Redevelopment was an opportunity to discover what lies hidden under LSE. All major building projects in London need to include an evaluation of the history and archaeology of the site and LSE was no exception. Investigation trenches indicated the presence of deposits relating to Ludenwic – the Saxon London and a condition of receiving consent for the redevelopment the School agreed with Historic England a watching brief over the entire site and a full excavation of 750m² where Saxon deposits appeared to have survived. Work began in April 2016 following the demolition of the East Building, Clare Market tower and houses on Clement’s Inn Passage including The Anchorage. 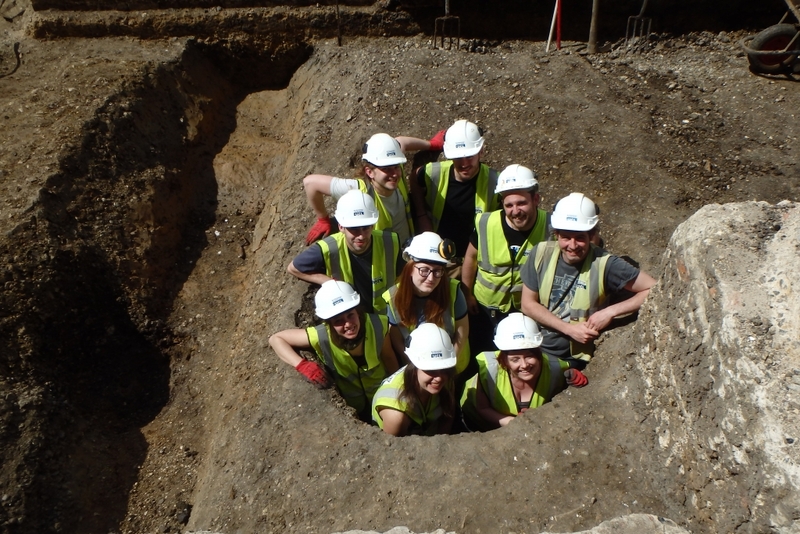 The excavation was carried out by Archaeology South-East/CAA based at UCL. In late March the top layers of the site were mechanically stripped and the full dig began in early April and continued for eight weeks. The dig was an opportunity to find out more about the peripheral areas of Saxon Ludenwic which was centered on the current site of the Covent Garden piazza. About 48 staff and students were able to visit the site and meet the archaeology team. 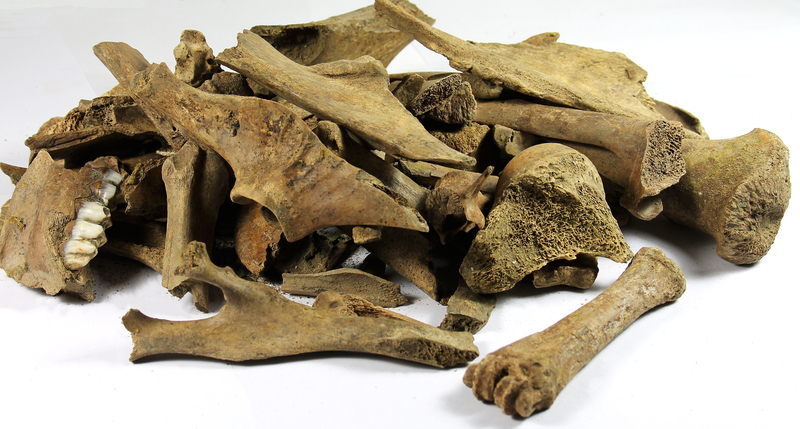 Two months on from the end of the main archaeological excavation at the Centre Buildings site and the off-site work is progressing at some speed; the site paperwork has been checked, our drawings and plans are being digitised, and all the finds have now been washed, dried and recorded. They now await assessment by our team of specialists. 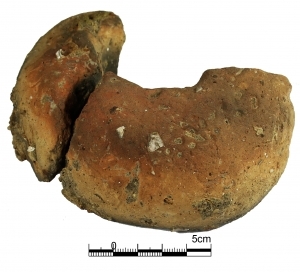 It is still early days with regard to collating and interpreting the collected data, which includes nearly 2,000 pieces of pottery; over 8,000 pieces of animal bone and approximately 3,000 fragments of Roman and Saxon building material from around 1,000 archaeological features. 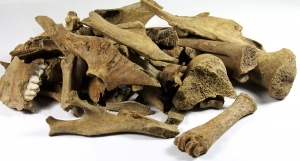 The aforementioned specialist assessment work will be the next stage in the process and it is that which will start to throw more light on the origins and dating of the artefactual remains. 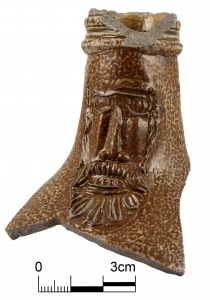 However at this time we do appear to have evidence for three main periods of activity; the Middle – Late Saxon period (c 700-1000 AD); the medieval period (c 1066-1600) and the post-medieval period (c 1600-1900). Much of what we have found reflects the site’s location on the periphery of both the Saxon and medieval settlements of London. Little in the way of evidence of buildings is present from ether period although the presence of large quantities of wattle and daub, as well as loomweights found discarded in rubbish pits, suggest the presence of buildings nearby. The site is mainly characterised by a series of dark earth layers (or ‘middens’), quarry pits and stake holes which possibly relate to animal pens or riverside temporary structures. Two sets of parallel ditches could possibly be evidence of a road or trackway leading to the river, suggesting perhaps that this area of Saxon and medieval London was essentially open land, possibly being used for agricultural purposes. Various phases of substantial 17-19th century brick walls were recorded on the site, as well as associated rubbish and cess pits, which illustrate the expansion of post-medieval London, filling once open spaces with urban sprawl. A full report will follow once the finds, plans and drawings have been full recorded and assessed. An interesting read, as Sue Donnelly’s articles always are. I still think it is a shame that the Anchorage had to be demolished.